The St. Louis Cardinals visit Wrigley Field on Tuesday to play the Chicago Cubs in Game 4 of the NLDS. The Cardinals send Lance Lynn to the mound to face Jason Hammel of the Cubs. The opening line for this matchup has St. Louis at -158 and Chicago at +148. The over/under was set at 7.5. The Cardinals, with a 82-82 run line record, cover the spread 50% of the time. They also have a 67-86 over/under record. The Cubs are 83-82 against the run line and have a 72-83 over/under record. They cover the spread 50% of the time. The Cardinals come into this game with a 101-63 record, and they are 45-36 away from home. Lance Lynn has an earned run average of 3.03 and is 12-11 so far on the season while having a 1.37 WHIP. He's pitched 175.1 innings thus far while surrendering 172 hits over that time and when he starts, the Cardinals are 14-13. The Cardinals are also 13-14 against the over/under in his starts. He is getting 4.5 runs from the team when he takes the mound. The bullpen has an earned run average of 2.82 and they have given up 442 base hits on the year. Teams are hitting .238 against the bullpen while being struck out 466 times and walking 183 times this season. As a team, St. Louis has allowed 8.3 hits per nine innings while striking out 8.18 batters per nine. They are 1st in the league in team earned run average at 2.91. As a team, St. Louis is batting .252, good for 13th in the league while putting together a .244 average away from home. The Cardinals hold a .395 team slugging percentage and an on-base percentage of .320 which is good for 14th in baseball. They rank 17th in baseball with 8.52 hits per game and Jason Heyward leads the team with 162. With a 99-66 overall record, Chicago will come into this game 49-32 at home. Jason Hammel is starting this game 10-7 for the season with an earned run average of 3.74 and a WHIP of 1.12. He's pitched 170.2 innings thus far while surrendering 158 hits over that time in which the Cubs are 12-9. The Cubs are also 11-10 against the over/under in his starts. He is getting 5.2 runs from the team when he takes the mound. The bullpen has an earned run average of 3.38 and they have given up 450 base hits on the year. Teams are hitting .230 against the Cubs bullpen while being struck out 511 times and walking 183 times this season. As a team, Chicago has allowed 7.82 hits per nine innings while striking out 8.85 batters per nine. They are 3rd in the league in team earned run average at 3.35. As a team, they are batting .243, good for 29th in the league while putting together a .237 average at home. The Cubs hold a .396 team slugging percentage and an on-base percentage of .320 which is good for 13th in baseball. 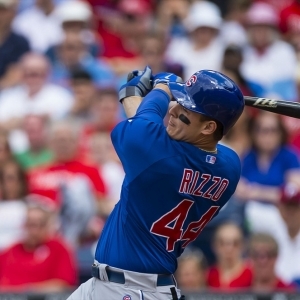 They rank 28th in baseball with 8.22 hits per game and Anthony Rizzo leads the team with 163. St. Louis has a team fielding percentage of .984 after having committed 96 errors with 1,617 assists and 4,394 put outs for the season. For the home team, they hold a .982 team fielding percentage while committing 111 errors, accumulating 1,669 assists and compiling 4,384 put outs.